[0:48] -NickServ- This nickname is registered. Please choose a different nickname, or identify via /msg NickServ identify <password>. [0:48] -NickServ- You have 30 seconds to identify to your nickname before it is changed. [0:48] -NickServ- You are now identified for DataBot. [0:48] -MemoServ- You have 2 new memos. [1:19] <nikre> i suspect my es9023 dac is dead. it is listed on aplay-l. i tried aplay and speaker-test but i dont hear anything. any suggestions? [1:36] <unitypunk> can you run android tv on a pi 3? [1:38] <unitypunk> so it is possible. [1:38] <unitypunk> durrf, have you done it yourself, or are you jsut throwing a link at me? [1:46] <unitypunk> and then talked about it for 5 minutes with someone, and solved the problem. [1:48] <axisys> which os is recommended for zero ? [1:48] <axisys> jessie pixel or jessie lite? [1:58] <axisys> i do have chromecast .. but never used as chromecast.. interesting..
[1:59] <axisys> I also have a fire tv for amazon prime..
[1:59] <axisys> so I can actually cast from my android to pi0 chromecast? [2:00] <axisys> inriguing.. any link for newbies? [2:04] <axisys> any available for pi0 ? [2:14] <axisys> so the redbear hat needs to be soldered in? [2:17] <axisys> so why need a otg adapter? why not just micro usb wifi adapter? [2:20] <axisys> they don't have one in US shop or US online stores? 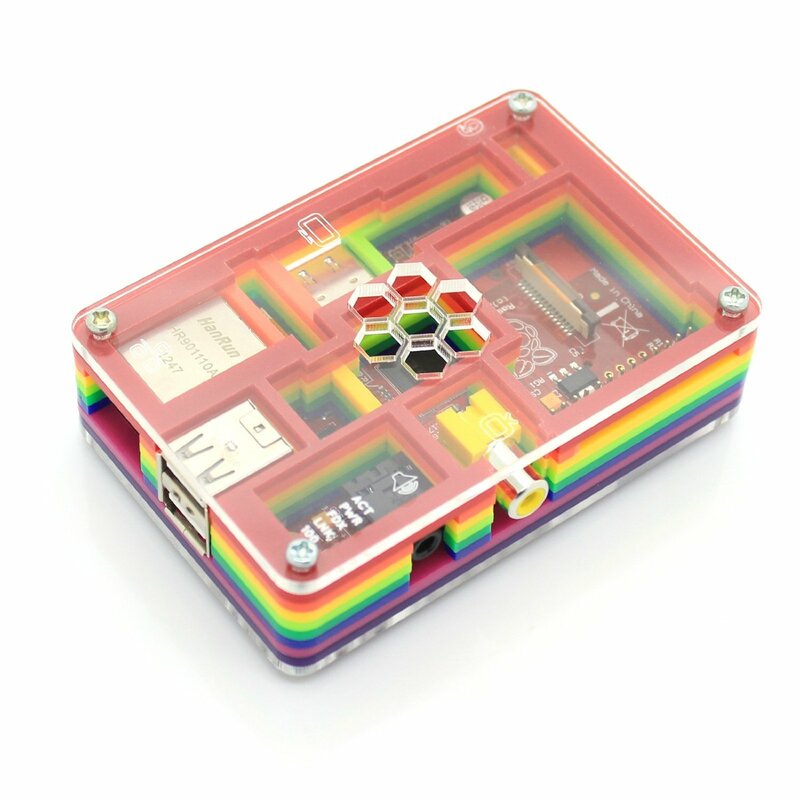 [2:33] <axisys> this looks right https://www.adafruit.com/products/2910 ? [2:43] <DWKnight> and http to the local ip? [2:44] <DWKnight> so http://<pi>:32400/ doesn't work? [2:47] <leftyfb> are you using rasplex? [2:47] <leftyfb> I think the web interface is something you need to enable. Tried connecting with a mobile app? [2:52] <binaryhermit> XHFHX: which pi? [2:54] <binaryhermit> you're using the armv7 build, right? [10:41] <howdoi> hello folks, can I reset my pi's ssh password from USB? [10:42] <Radic1848> Hello, I am having some trouble with my wireless on the raspberry pi 3. The "sudo iwlist wlan0 scan" command doesn't work. The gui seems to be able to see the network but I get an error when I try to join. [11:09] <wiselydoesit> howdoi, i'm gonna give you the simple answer of your kind of out of luck. 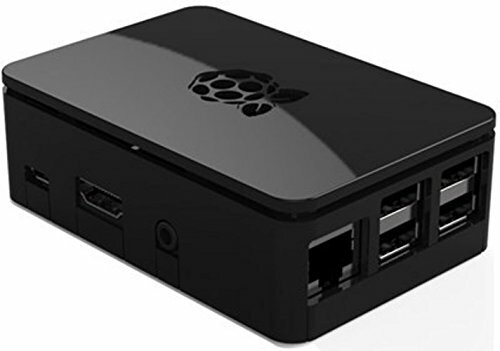 even if you connected over USB your options would essentially be establishing an USB tethering connecting to the Pi, which would give you another network interface but you would be again at the same point of requiring the ssh password. [11:10] <wiselydoesit> depending on how out of date your install if and what services you have running you could attempt to find some vulnerability in your Pi and essentially hack it. But i'd hazard a guess buying a new SD card adapter is probably the easiest route. [11:11] <howdoi> wiselydoesit: if I could somehow mount that SD card via usb, it would be a win! [11:13] <wiselydoesit> you probably only have ssh running and yes the raspbian install is pretty damn secure. [11:13] <howdoi> wiselydoesit: luckily no fail2ban :D I am trying the combinations, user name can be root@ ? [11:13] <wiselydoesit> maybe thats your issue. [11:15] <howdoi> Does raspbian support booting into super user mode? [11:18] <howdoi> if I want to connect to my pi to anyother wifi headlessly is it possible? [11:19] <wiselydoesit> http://unix.stackexchange.com/questions/92799/connecting-to-wifi-network-through-command-line check the first answer in this thread. [11:51] <Radic1848> Is there any way to know for sure if my wlan0 is faulty? [12:02] <wiselydoesit> the onboard RPi3? try connecting to an Open Wifi network, rules out any issues with WPA2/router etc. [12:05] <Radic1848> "wlan0 Interface doesn't support scanning : Invalid exchange"
[12:19] <thecha> hi how can i give more than one referer= in etc/webmin/config ? [13:14] <howdoi> do you shutdown your pi everytime before you power off? [13:14] <howdoi> is that even required? [13:21] <thecha> could i back trace what i did type all the comand sinto a bash script and by way of such automate the setting up of servers of my desing? [13:23] <howdoi> what was that call, where in we could wake up on ssh? [13:32] <thecha> but in theory is it possible? [14:45] <DWKnight> did you bring your wall block from home too? [15:15] <howdoi> does jhony-five support pi? [16:31] <riskable> Arg! Why are there no USB C hubs with USB C ports?!? [16:52] <thecha> how to start wlan0? [16:58] <PhonicUK> does anyone know what package provides the GUI for configuring wifi? [17:03] <tunage> how many zeros are in a whole Pi? [17:04] <thecha> how to start wlan0? [17:05] <tunage> thecha: servives? kill? [17:08] <tunage> services is the nice way, kill -9 if you are really mad at it. [17:09] <tunage> Chillum: theoretically Linux is supposed to never be rebooted, if you are running it correctly. Minus a kernel update which even now can be done without a reboot if REALLY necessary. [17:11] <tunage> thecha: the cheat is with ifconfig, if you just need to poop a static IP. Its gone after reboot though. [17:12] <thecha> tunage→ so if config is gone every boot? [17:12] <thecha> so the dynamic ip the dhcp gives can be turned into stati? [17:12] <tunage> what are you trying to do? get online? or configure a server? [17:13] -christel- [Global Notice] As the 2016 comes to an end and we await the dawning of a new era I would like to wish you a Happy New Year from all of us at freenode. Join us in #freenode-newyears as we welcome 2017! [17:13] <tunage> thecha: dhcp will try and be a butthead and get you an IP every time. Sometimes its easiest to disable dhcp first (not always). what is the OS you are trying to configure? [17:15] <tunage> stiv: I'm not sure what you did by 'telling it to give the server the same IP' but, unless you're in a Cisco or Juniper, it sounds like an error and you should reverse what you did. [17:19] <tunage> thecha: no. you should leave the router alone. [17:20] <tunage> you disable dhcp on the server and then config its IP. if something borks, you can always force feed an IP using ifconfig, but its a temp solution while you unbreak stuff. [17:21] <stiv> give it a hostname and the desired ip and bob's your uncle! [17:24] <stiv> tunage, you need to start hanging out with better routers! [17:31] <tunage> thecha: you can't give eth0 and wlan0 the same ip at the same time, fyi. [18:04] <leftyfb> PhonicUK: doesn't that article tell you exactly what package down at the bottom of the article? [18:06] <leftyfb> PhonicUK: this is a fresh install? [18:08] <leftyfb> PhonicUK: why install the lite image if you're just going to install the GUI anyway? [18:26] <DWKnight> what text editor are you using? [18:28] <leftyfb> PhonicUK: what edits are you making? What is failing? how? [18:32] <leftyfb> PhonicUK: What exactly are you trying to accomplish? 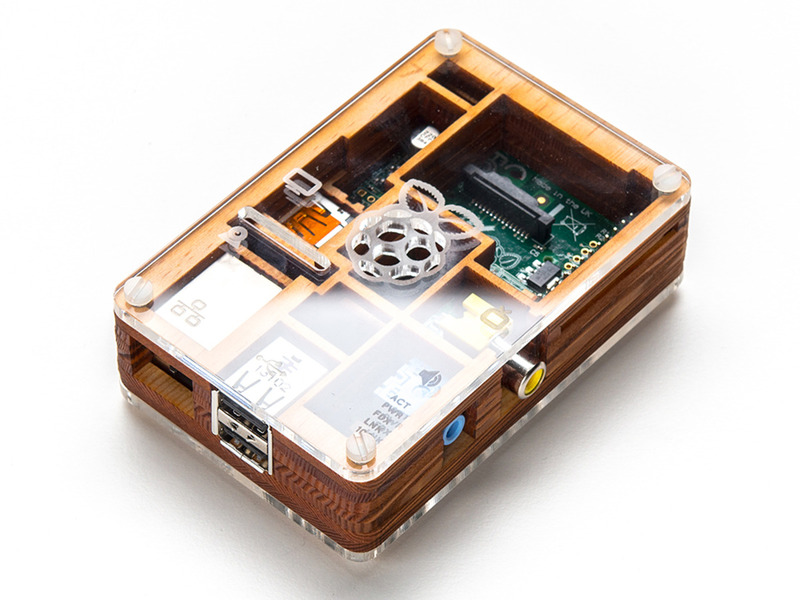 [18:42] <thecha> if you turn your rpi3b into a server then do you need shellinabox? [18:46] <leftyfb> thecha: great. what about it? [18:48] <thecha> is it the software to sue if you wanna do ssh and if you wanna do a multidevice aproach? [18:48] <leftyfb> thecha: shellinabox is not a requirement for ssh. Not is it a requirement of a "multidevice approach"
[18:48] <leftyfb> thecha: do you know what shellinabox is? [18:49] <thecha> lefty can you pls kindly elaborate? [18:50] <thecha> ok so it is not a requirement but what can you say about it? [18:50] <thecha> is it any good though? [18:51] <thecha> is it the most recomended route? [18:51] <thecha> is thee better ways? [18:51] <leftyfb> thecha: the proper course should be for you to try it out and see if it meets your specific needs. If it does, then it is "good"
[19:53] <thecha> samba is bad? [19:54] <thecha> is webmin decent with rpi? [19:54] <thecha> i mean arent both these highly secruity risks? [19:58] <leftyfb> thecha: you're better of not using webmin if you care to develop an understanding of how the pi and linux in general works. More importantly, how to fix things if they go wrong. [20:00] <thecha> leftyfb→ how do you properly set up a homeserver? [20:00] <leftyfb> thecha: What exactly are you trying to accomplish? [20:02] <leftyfb> thecha: mind you, the pi is limited in it's capabilities. I wouldn't recommend throwing everything at it. [21:54] <j41> mitchel: Python is a powerful language! Good luck with learning it! The channel #python is also good for support! [21:55] <j41> mitchel: If you feel confident after learning Python, maybe try C#, then Java. [21:55] <mitchel> java is a bit too hard for me. [21:56] <mitchel> hopefully python wont be too hard. [21:57] <mitchel> you know Python? [21:57] <j41> I do, yes! [21:57] <mitchel> ever tried with GPIO? [21:58] <mitchel> you mean intel? [21:58] <mitchel> or something else? [22:05] <mitchel> and i completely set up my Pi from the CLI. [22:06] <mitchel> damn. what a small 40$ computer can do. [22:09] <mitchel> well, how bad would it be to run my pi 24/7? [22:11] <mitchel> Encrypt, but how bad is it that the small temperature icon shows up? [22:15] <mitchel> do you have a heatsink on it? [22:16] <mitchel> but is 59.1C fine for the pi? [22:17] <Encrypt> ImiIt's a Pi3? [22:18] <mitchel> how hot does it get? [22:19] <mitchel> GreaseMonkey, how the hell do you manage to get it to 80 C? [22:20] <mitchel> GreaseMonkey, im typing this from my pi ._. [22:22] <mitchel> but the pi isnt made for that. [22:28] <mitchel> Encrypt, is it maybe the plastic case i have arround the pi? [22:34] <mitchel> how do I loop a command? [22:41] <leftyfb> norsu: why not get a usb wifi adapter? [22:42] <leftyfb> norsu: your question was "Has anyone experience with ESP8266 Wifi module with Raspi?" [22:44] <norsu> Correct. Just asking if anyone has experience on that thing. Or is the channel topic so restricted that complete projects cannot be discussed? [22:45] <mitchel> Encrypt, so what should I do? [22:45] <mitchel> and it should give the exact same temps as the pi without a case? [23:10] <mitchel> Encrypt, is it safe to run a raspbery pi without a case? [23:12] <redrabbit> oh yeah, whats the temperature for warning ? [23:13] <mitchel> what do you use the pi for if i can ask? [23:51] <Gugg> they're all off. Has anyone had this happen (all gpio pins stuck on)? I assume it's a hardware issue I guess, maybe a short somewhere? [23:53] <leftyfb> Gugg: got a multimeter? [23:56] <leftyfb> Gugg: if there's no pins showing up in /sys/class/gpio/ then you haven't set them up yet.